In Louisville, Kentucky, Slechter Law Firm represents those who have been injured by the wrongdoing of another in cases of personal injury. We offer over 40 years of combined experience and individual attention to every client who comes through our doors. Those in the Louisville metropolitan area and throughout Kentucky, Tennessee and Indiana who have been injured by another's negligence come to our offices work with a compassionate, qualified attorney. Our focus is on individual rights, not protecting large corporations or insurance companies. A personal injury can seriously impact someone's future, and our goal is to get the compensation clients deserve when they have been injured through no fault of their own. We handle car, truck and motorcycle accidents, medical malpractice, nursing home malpractice, wrongful death, premises liability, sexual assault, dog bites and workers' compensation. 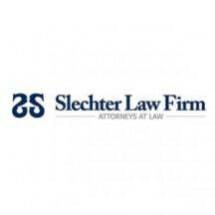 The Slechter Law Firm is committed to going the distance to get our clients the funds they need for financial security after a life-altering injury. If the case does not settle in a satisfactory way, we are prepared and ready to take it to trial to protect the best interests of our clients. We have handled many cases of complex litigation when clients are entitled to compensation for medical bills, loss of income, pain and suffering and property repair. The attorneys at our law firm know how much every case is worth and are prepared to go after the maximum award for our clients.